Clark, Alisson. “Uf Study Shows Tundra Fires Could Accelerate Climate Warming”. University of Florida, 2011. http://news.ufl.edu/archive/2011/07/uf-study-shows-tundra-fires-could-accelerate-climate-warming.html. Rozell, Ned. “Recovery After World's Largest Tundra Fire Raises Questions”. 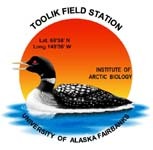 Geophysical Institute, University of Alaska Fairbanks, 2011. http://www2.gi.alaska.edu/ScienceForum/ASF20/2080.html. O'Harra, Doug. “Are Alaska's Wildfires Accelerating Global Warming?”. Alaska Dispatch News, 2010. http://www.adn.com/article/are-alaskas-wildfires-accelerating-global-warming. O'Brien, Miles, and Kate Tobin. “Arctic Soils Key To Future Climate”. Science Nation. Science Nation. National Science Foundation, 2015. http://www.nsf.gov/news/special_reports/science_nation/soilcarboncycling.jsp. O'Harra, Doug. “2007 Arctic Wildfire Released 50 Years Of Stored Carbon Into Atmosphere”. Alaska Dispatch News, 2011. http://www.adn.com/article/2007-arctic-wildfire-released-50-years-stored-carbon-atmosphere. Golden, Heidi E. “The Trophic Interactions Of Young-Of-The-Year Arctic Grayling, Thymallus Arcticus, In An Arctic Tundra”. University of Massachusetts, 1997.